The University Children’s Hospital in Belgrade is one of the largest hospitals in Serbia. FPK has been actively involved in helping the hospital through various donations and humanitarian aid during the last ten years, since the foundation was created. In 2004, Crown Prince Alexander II and Crown Princess Katherine donated an ambulance to the University Children’s Hospital with the generous help of the president of “Oracle”, Dragan Spanovic. In 2005, Crown Princess Katherine donated a neonatal incubator and ten-infusion pumps to the then newly – opened Department for Intensive Care of Neonatal Unit with the help of friends of FPK from Switzerland and the PNOE Foundation from Greece. In honour of the great contribution that Crown Princess Katherine made to the University Children’s Hospital, the new department carries her name. Crown Prince Alexander also visited the University Children’s Hospital in 2005, where he donated one mobile incubator, a generous donation from FPK and the Safra Foundation. In 2011, Crown Princess Katherine and her good friend from Greece, Mrs. Kaliroi Apostolidou Konstantas delivered a bio magnetic therapy machine to the University Children’s Hospital which will be used as additional treatment for diabetic patients. FPK will carry on its successful cooperation with the University Children’s Hospital in continuing its support for the Congenital Heart Disease Unit as well as all other upcoming as well as pending projects. During last five years, FPK has focused its activities on breast cancer prevention, diagnosis and treatment programmes in Serbia in coordination with the Ministry of Health and the National Campaign “Serbia against cancer”. Crown Princess Katherine Humanitarian Foundation managed to secure valuable donations to support medical institutions with a mobile digital mammography machine that was donated to the Regional Health Centre in Nis and is travelling as the only mobile mammography machine in south east Serbia. This machine examined several thousand women is worth US $700,000 and was donated by the Stavros S. Niarchos Charitable Organization from New York. Also, FPK has donated several mammography machines to Paracin, Odzaci and Arandjelovac health care institutions. Serbia still has great need for 130 mammography machines to implement a comprehensive screening program. Unfortunately Serbia is still at the top of the list regarding morbidity and mortality rate from this disease in Europe. Serbia still has great needs in training of its doctors and technicians regarding new diagnosis and treatment techniques. FPK has very good cooperation with Memorial Sloan – Kettering Cancer Centre in New York, and Professor Hedvig Hricak, who helped us with her team to organize two seminars for health professionals in Serbia regarding breast cancer prevention and diagnosis. So far we have established cooperation with “Susan G. Komen for the cure” campaign and Ambassador Nancy Brinker, who visited Serbia two years ago and met with our Minister of Health and health professionals. In addition, a number of charity events awareness raising campaigns were organised by FPK to secure awareness about the importance of early detection and to raise funds for prevention and therapy actions from medical institutions throughout the country. In February 2010 the traditional Charity Fashion show took place in aid of the fight against the breast cancer this. Assistance went to Zemun Hospital for finalisation of the mammography unit. Their Royal Highnesses Crown Prince Alexander II and Crown Princess Katherine were guests of honour at the fundraiser organized by “Women Like Us Foundation” in October 2010 in Indianapolis, in order to raise funds for Lifeline Humanitarian Organization, which operates under auspices of HRH Crown Princess Katherine, and breast cancer prevention programmes in Serbia. The “Pink ribbon-shopping month” took place during October 2009, the International month of the fight against breast cancer at Usce Shopping Centre in Belgrade. The most eminent foreign and domestic experts from the fields of breast cancer screening and prevention took part in the two Conferences organised in September 2008 and 2009 on breast cancer screening, renewed international and local lecturers spoke about the implementation of the programme for early breast cancer discovery in Serbia, percut biopsies under the control of mammography, breast cancer mutations and the role of imaging in personalized medicine and guided breast biopsy. Among other issues, these gatherings also pointed out to the role of media and non-governmental organisation in increasing the awareness and information level of women when it comes to early detection and prevention. Zemun Hospital in Belgrade is one of the most important medical centres in Serbia. FPK has been actively involved in helping the hospital through various donations and humanitarian aid over the last ten years, since the foundation was created. The latest cooperation was the reconstruction and furnishing of the Mammography Unit of the Radiology Centre of Zemun Hospital. The funds for this action were collected in 2010, during the traditional St. Valentine’s Day Charity Fashion Show at the White Palace to provide support for Zemun Hospital to aid the fight against breast cancer. During the Fashion Show, the famous Italian designer Renato Balestra and Serbian designers Predrag Vukasinovic and Dragana Ognjenovic presented their works and in this way they contributed to raising funds supporting the Breast Cancer Campaign. As a part of this action, the reconstruction of the mammography unit in Zemun Hospital was finished and a negatoscope (a machine for reading mammography records), computer and printer were purchased for this department). In 2009, on the occasion of International Health Day, Crown Princess Katherine visited Zemun Hospital and delivered fifteen electric hospital beds to the department for intensive care for cardiovascular diseases. Over the years, FPK donated uniforms, used hospital beds with mattresses and transformers on several occasions, a monitoring system, as well as a neonatal incubator. FPK will carry on with its successful cooperation with Zemun Hospital in continuing its support for all upcoming as well as pending projects. The main purpose of the Safe Delivery Programme is to continue the effort of our previous completed project, NICU (Modernisation of Neonatal Intensive Care Units) for all sixty-four delivery wards in Serbia. The value of this massive project has reached over Euros 1.5 million and is still in progress. This project has the aim of modernizing delivery rooms in the hospitals of Serbia. Due to the poor economic situation in the country throughout the past two decades, delivery rooms in Serbia lack adequate basic equipment for the delivery and stabilization of newborn babies. The programme study was undertaken by the Royal Medical Board, which is a part of FPK in collaboration with doctors from hospitals in Serbia. For this reason, the Safe Delivery Programme Project is of vital importance to FPK. For ten years FPK has made enormous efforts to change the picture of the maternity wards. 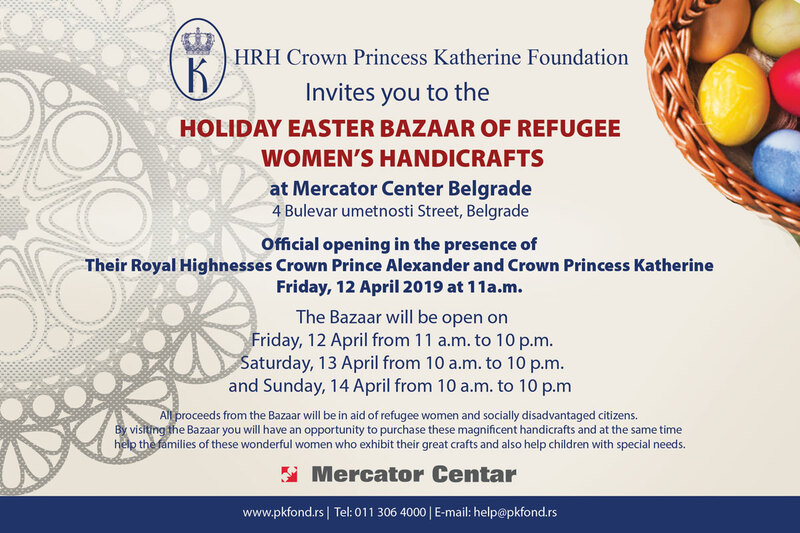 In 2006, an event was organised in Athens, Greece which was supported and attended by the National Bank of Greece, Eurobank, four Greek ministers and many other friends and supporters of Their Royal Highnesses. This was one of several events, which raised a large amount of money to secure funds for this project. Over the last few years, FPK has donated incubators, nasal B CPAP’s, monitor CFM’s, pulse oxymo-metres, infusion pumps, neonatal ventilators, transport incubators, nasal B CPAP’s, portable X-rays, portable monitors, defibrillators, warm tables, bilirubonometers, cardio respiratory monitors, gas analysers and laryngoscopes to the University Children’s Hospital in Tiršova street, the Gynaecological Clinic in Višegradska street, the Hospital in Aranđelovac, and various other departments within the Clinical Centre of Serbia. FPK has also renovated the maternity ward in the Clinical Centre of Serbia in 2008. The following pieces of medical equipment are needed for the continuation of the Safe Delivery Programme Project: delivery beds, monitoring systems, and infusion pumps. This important project was initiated by Prof. Dr. Afksendios Kalangos, Head of Cardiovascular Surgery at the University Hospital in Geneva, Switzerland and a great friend of Princess Katherine, in cooperation with the Institute of Cardiovascular Diseases of the Clinical Centre of Serbia and University Children’s Clinic in Tirsova. This is a unique department in Serbia, in which both children and adults with congenital heart disease are operated. This first operating Unit for Congenital Heart Disease for children and adults gives patients new hope and better conditions for recovery, and doctors a new challenge, as well as a the possibility to develop their knowledge and practical skills in dealing with this heart condition. A part of the intensive care unit and day hospital were reconstructed, built and equipped with the most modern beds and medical equipment for post-operative treatment of congenital heart disease. This project was conceived with the generous help from friends of Their Royal Highnesses Crown Prince Alexander and Crown Princess Katherine, Mr. Alexander Niklan and the Foundation of Prof. Dr. Kalangos “Hearts for All”, as well as from the Republic Fund for Health Insurance. Prof. Dr. Afksendios Kalangos, who apart from little Dejana has saved well over 30 young lives in Serbia, was also involved in additional training of our medical professionals. The ultimate goal of this project is to establish a National Centre for the treatment of GUCH patients. Such a centre should be the accountable for the GUCH patients from Serbia, but also could cover Bosnia and Montenegro. 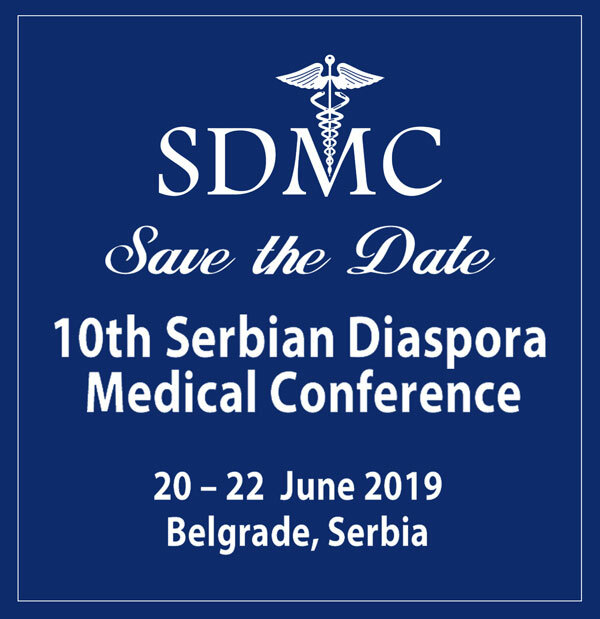 It is estimated that in the beginning about 50 GUCH surgeries will be required per year (for Serbia), and over time, that number could rise to about a 100 per year. This could reach even more than a hundred surgeries per year, especially if patients from neighbouring countries are treated. The value of the project is over Euros 1 million.